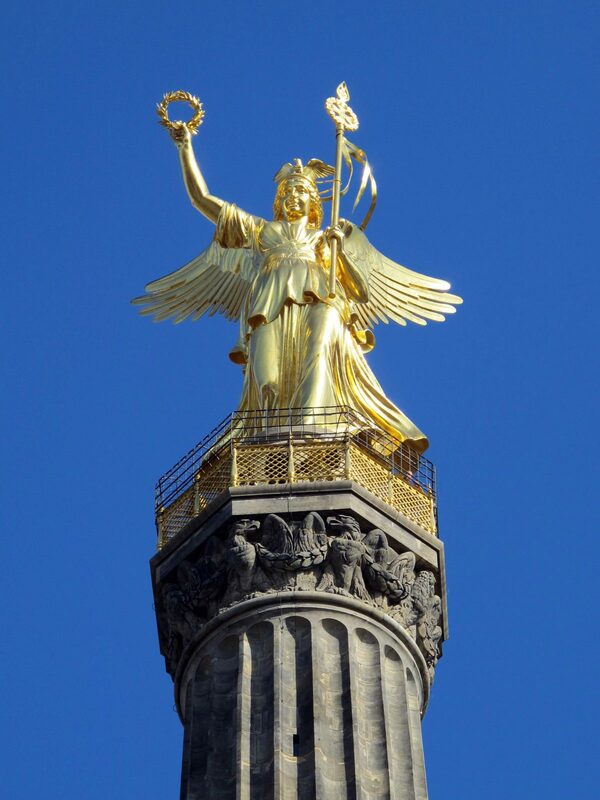 Golden Lizzie must have witnessed some of Berlin’s most historical events over the years. 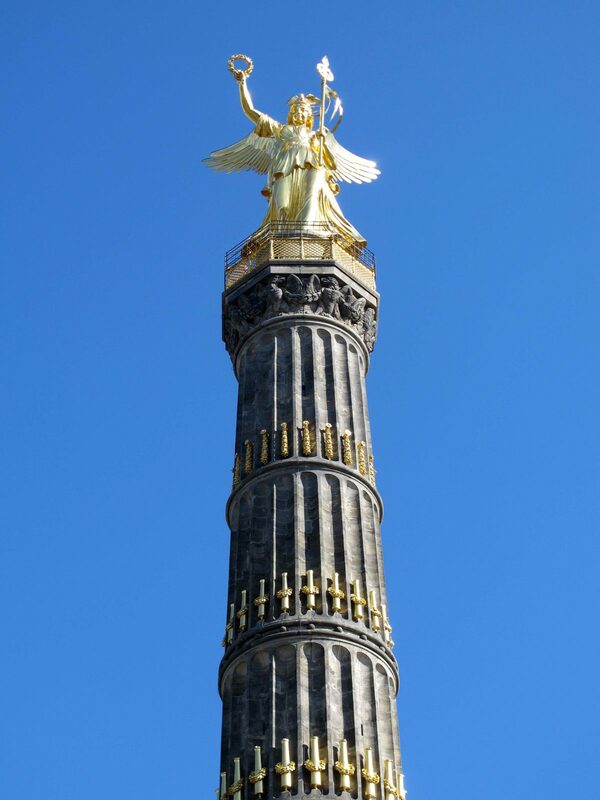 The column was originally conceived to commemorate the 1864 Prussian victory over Denmark, but by the time it was finished, it symbolised much more. 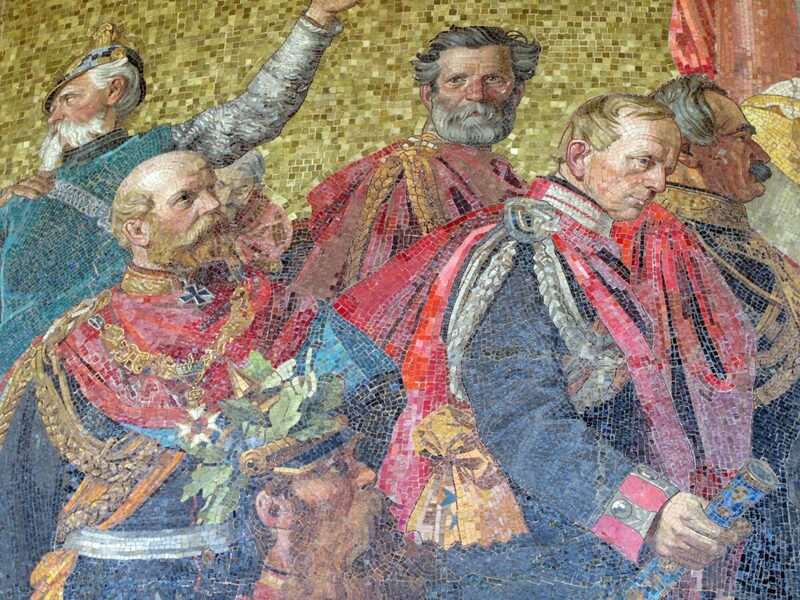 When Emperor Wilhelm I unveiled it on 2nd Sept 1873 there had been another two wars and the German Empire had been born. 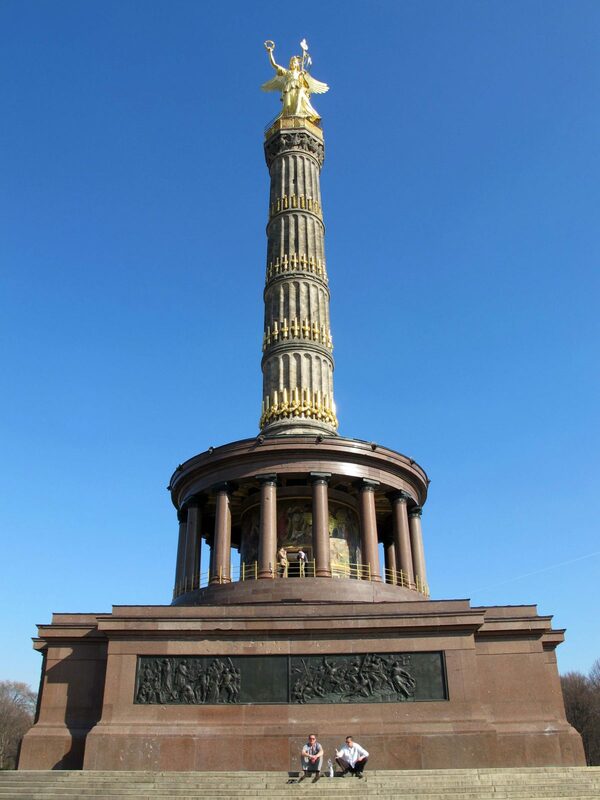 It was initially located in front of the Reichstag in Konigsplatz (Platz der Republik today) but was re-positioned in 1938 to fit in with the Nazi’s vision of Albert Speer’s ‘Germania’. There are 4 sections to the 67m high column, the lower 3 of which represent the three wars and adorned, if that’s the right word, with cannon barrels captured from these conflicts. 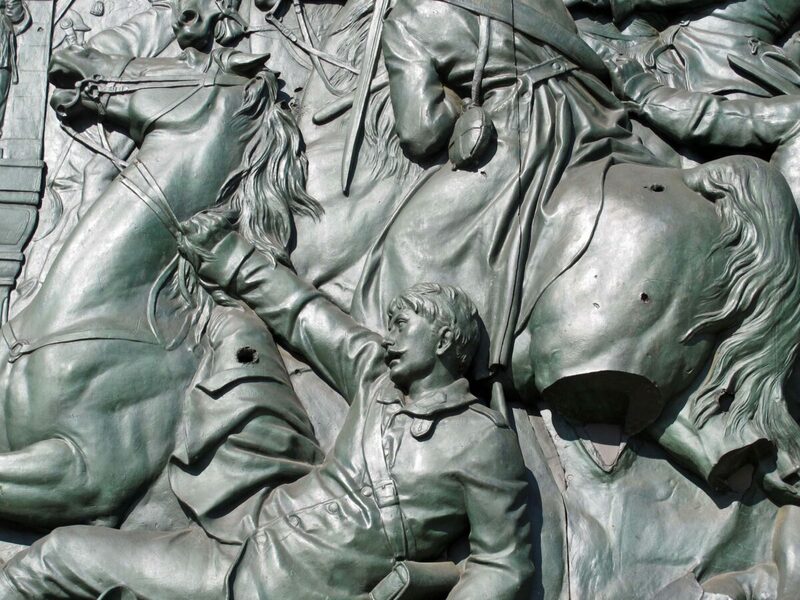 More captured cannons were used in the making of the bronze bas-reliefs at the base of the monument, but perhaps even more striking is the mosaic frieze on the rotunda at the base of the column which symbolizes the founding of the second German Empire. Even though the area around the Siegessaule was devastated during WW2, the column somehow miraculously survived relatively unscathed, although plenty of bullet holes can still be seen as a reminder. The same evidence can be seen on some of Albert Speer’s four neo-classical temples that serve as the entrances to the pedestrian underpass that gives access to the monument. The Siegessaule is open throughout the year and can be reached by taking the well-used bus #100. I often do walk up to the top of things (just to prove I can still do it, I suppose) but I think I’ll give this one a miss because I find the German emperors of 1870-1918 so repulsive. I’ll look out for it. Just for the record I don’t like films that are gratuitous. For example I was looking forward to watching ‘Stalingrad’ which was almost a love film. How could anybody make a film about the siege of Stalingrad like that? You’re not the only one who can’t t make it up those steps these days. I’ve not seen the film. Is it worth a look for somebody like me? I’ve of course seen the Siegessaule, several times, but I have never been up it. I don’t think I even realised that you could! And I fear those steps would be too much for me these days 🙁 Have you ever seen ‘Wings of Desire’ in which it features?